Want to play some golf this winter? You might notice that your shots don’t fly quite as far when playing in cold weather. This is not your fault though; it is common knowledge by golfers that the cold climate can affect the distance traveled by golf balls. This is caused by a combination of higher air density in winter, and the fact that your balls (both types) are probably frozen solid. Just think…how far could you hit an ice cube? So, what should you do? You can try to keep your balls warm in a thermos… but the more practical way would be to just use a different type of golf ball. What kind of golf ball, you ask? Basically, the best golf balls for cold weather are ones with a low compression rating. Low compression golf balls are normally used by beginners, or players with lower swing speeds. But, in the winter, if you want to maintain your distance, then we recommend almost all players to use a low compression golf ball (compression rating under 70). High compression balls are higher density, so in cold weather, the ball will feel much heavier, and will simulate hitting a rock. That’s probably not what you want. The main downside of using a low compression golf ball is that you lose some control and spin, especially around the greens. Although, when you are playing in winter, you will probably have more problems with your ball getting plugged into the ground. Let’s take a look at the best cold weather golf ball options on the market today. Below is a list we compiled from a collection of user ratings and reviews. This golf ball from Wilson was one of the first real low compression golf balls on the market. Back in 2008, it was the softest ball on the market, with a 50 compression rating (hence the name). 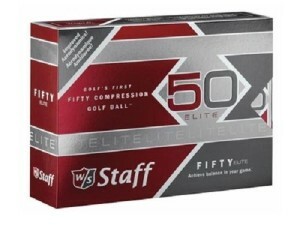 Nowadays, there are lower compression balls, but the Wilson Staff Fifty Elite still holds is own. They offer excellent distance but not at the expense of complete lack of control. As for cold weather golfing, the Wilson Staff Fifty are an excellent choice, and we definitely recommend any golfer to try them out if they are losing distance with their normal ball. The Wilson Staff Fifty Golf balls are also available in yellow and orange for easier visibility. Best of all, right now, these excellent golf balls are available for nearly 50% off regular price (on Amazon)! Get ready for Winter and pick up a 12-pack today! This amazing ball from Callaway has a compression rating of just 35, and is considered as a SUPER low compression golf ball. With this amazingly low compression, it is one of the “softest” golf balls on the market, and also gives very little spin which helps players hit straighter and longer. This is particularly useful for playing on colder winter/autumn days when you would typically lose a lot of distance. Pound for pound, this is definitely one of the best cold weather golf balls available. They feel absolutely amazing coming off your club, and will go farther than you expect! If you don’t like normal white balls, the Callaway Super Soft Golf Balls are also available in a variety of bright colors (yellow, pink, orange) to help you locate them easier. Golfing on a budget? Then these Precept Laddie X Golf Balls from Bridgestone Golf could be for you. They are the best affordable low-compression, cold weather golf balls on the market. The Laddie X utilizes an enhanced velocity muscle-fiber core which effectively increases distance traveled while also increasing durability and stability. The 372 wind cheating dimple design gives you that extra distance whether you are playing in warm or cold climates. They feel soft off the tee or on the green, and are overall just a great ball. Also, for less than $1/ball (on Amazon), you can’t really go wrong with the Precept Laddie X. 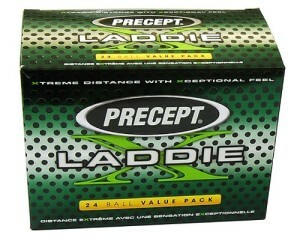 Buy the Precept Laddie X Golf Balls here! Long and soft. The name says it all. These signature low-cost golf balls from TaylorMade go freaking far, and feel absolutely amazing coming off your clubface. They are a 2-piece ball and are completely designed for distance. They feature an energy packed core and agile ionomer cover, along with a special dimple pattern for better trajectory, and longer distance on every shot. They also feel soft and easy to control around greens — rare for a lower cost golf ball. The Noodle Long & Soft are of excellent value (approx. $1.50/ball), and one of the best cold weather golf ball options available. Once you go Noodle, you may never go back! 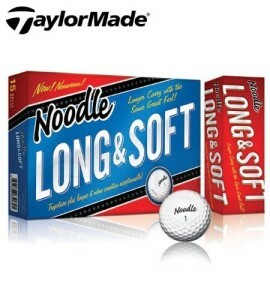 Buy the TaylorMade Noodle Long & Soft Golf Ball here! Last, but definitely not least is the Wilson Staff Duo Golf Balls. With a compression rating of just 29 (!!! 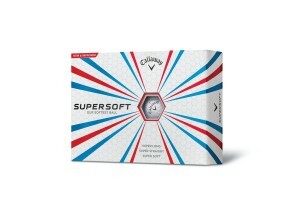 ), they are officially the world’s softest golf ball. Of course, this also happens to make them one of the best cold weather golf balls. The two piece construction helps provides minimal spin on drives for more distance and accuracy, while the 302 dimple pattern helps improve trajectory and consistent ball flight. The Wilson Staff Duo will almost certainly be longer and softer than any other ball you have ever played. The only potential downside is that they are a bit more expensive (approx. $2/ball) than the other balls on our list. But, if you are serious about golfing in cold weather, then these golf balls are the perfect choice. 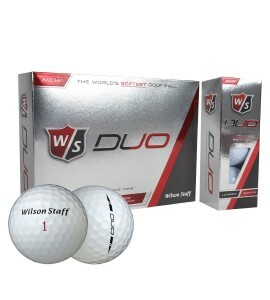 Buy the Wilson Staff Duo Golf Balls here! If you want just a little bit more spin and control, check out the Wilson Staff Duo Spin Golf Balls here! When it comes to playing golf during winter, using the best cold weather golf ball can give you the edge you need. They will help you maintain your shot distance which would otherwise be lost with normal/high compression golf balls. Take your pick from our list above, and let us know which is your favorite!